The Robert Burns is one of the great classic cocktails from the golden age of adult beverages. Most people would associate the drink with Robert Burns, the famed Scottish poet of the 1700s. According to A.S. Crockett's "The Old Waldorf-Astoria Bar Book", it may actually have been named after a cigar salesman who was a regular at the bar. The drink itself is a delightful, sophisticated mix that builds on the scotch-vermouth combination of the Rob Roy. The addition of absinthe brings in a nice contrasting flavor, though be sure to keep this accent to a dash, as it can easily overpower the drink. If absinthe is a bit too much for your taste, there is a variation called the Bobby Burns cocktail that you might find a bit more appealing. It is a Scottish tradition to celebrate the poet Burns' birthday on January 25th of each year during what is known as Burns Night. Whether this drink was actually named for him or not, it is a fantastic choice for the evening's libation. Blended Scotch whisky is generally preferred in scotch cocktails. It tends to lend a nice balance to the drink and mixes well with almost any flavor. There are many great brands to choose from. The Black Grouse, Johnnie Walker's Red or Black Label, and anything from Chivas Regal are good options to start with. As with any cocktail in the martini or Manhattan style, feel free to adjust the whisky to sweet vermouth ratio to fit your taste. The amounts in the recipe are the most common, and you might want to tweak that with different scotches. There are also lots of options when it comes to the orange bitters. It's one of the most popular flavors and at least one bottle should be in every well-stocked bar. Look for it from bitters makers like Angostura, Fee Brothers, Scrappy's, and The Bitter Truth. Regan's Orange Bitters No. 6 is another gem you'll want to check out. If you do not have absinthe, try an anise-flavored substitute. Pernod, Herbsaint, anisette, and abisante are all excellent options. The Bobby Burns cocktail is a classic twist on the Robert Burns. It is typically mixed with a Highland single malt scotch and uses the same proportions of whiskey and sweet vermouth. The difference is that the Bobby Burns skips the absinthe and bitters, pouring 1/2 ounce Benedictine instead. Don't be afraid to mix with a single malt scotch. 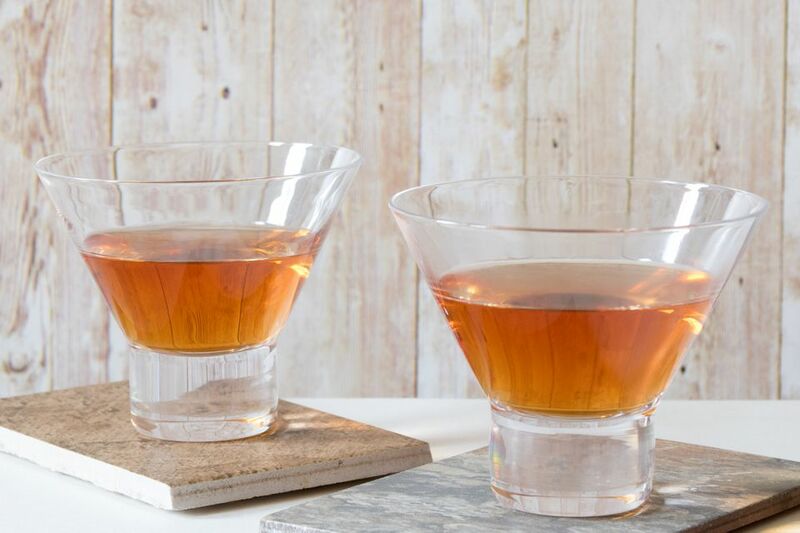 It's a fantastic choice for simple and sophisticated cocktails like this and there are a number of affordable options, so you won't be wasting money. Since each region of Scotland produces whiskies with distinct flavor characteristics, you will experience a new Robert Burns each time. It's like taking a tour of the countryside without leaving home! How Strong Is a Robert Burns? Up cocktails made entirely of alcohol are pretty potent drinks. If you were to pour an 80-proof scotch into your Robert Burns, you could expect it to have an alcohol content of 28 percent ABV (56 proof) or so. That's right in line with similar drinks like the Manhattan. It's best to sip this one slowly and keep in mind that one too many can get you drunker than you might have intended. What Makes a Classic New York Cocktail?